Japan, being the maverick that it is, has very different way of going about regular physicals. Believe it or not, physicals are not covered by health insurance on account of the fact that work places are legally obligated to provide medical screenings (kenko shindan 健康診断) for their employees. While medical screens are comprehensive, they are usually conducted in a conveyor-belt fashion and are not particularly invasive. If you are in your mid thirties or forties, it is recommended that you instead get a "full physical examination," known as 人間ドック (ningen doku). The name ningen doku may seem a little odd since it literally means a "human dock." The name was dreamed up by Japanese medical establishment in the mid 1950s. The "dock" part comes from the English phrase "dry dock," as in taking a ship out of water to repair it. The idea was that, since the standard check-up spans a day or more, it was like putting your body into dry dock. Not exactly the wording I would choose, but I guess that's why I am not a doctor. A full physical check-up is a big deal in Japan. The whole process can last anywhere from a whole day to a week depending on the hospital and course you select and the hospital you visit. Furthermore, there is not set course for getting a ningen dokku. The only stipulation (or trend, I guess) seems to be that the check-up has to be intensive, including multiple scans, blood work, and various other types of checks. Not surprisingly, you have to make an appointment well in advance (see below). Since ningen dokku is not covered by any public or semi-public insurance plan, you theoretically have to pay everything up front. And it isn't cheap. However, now that preventative medicine is all the rage, many insurance groups and/or work places offer heavily subsidized ningen dokku plans. My work place offers a whole day course for about 4,000-5,000 yen. If you are enrolled in a National Health Insurance scheme, you should consult your locality as to whether or not they offer any discounted ningen dokku options. Some local NHI plans offer some sort of voucher or discount for people over forty, but every ward, city, and prefecture is different. Similarly, if you are enrolled in an Employee Health Insurance scheme, then you should consult your work places and insurance provider. Many work places advertise discounted for free ningen dokku services at the beginning of the contract year (around April). Some employers might even require you to get this procedure done if you are over a certain age. You can also usually get the day off from work to complete your check up. Finally, if you sign up for a workplace or publicly subsidized ningen dokku, make sure to check what procedures are involved since each facility and health care group has its own course. Also, check to make sure if there are any steps you must take to prepare such as not eating or drinking several hours before the check up. If you aren't lucky enough to have a work place that covers a full physical check up and designates a facility for it, fear not. With a bit of Japanese skill, you can find your very own ningen dokku. Job and restaurant search giant Recruit runs a website that lists facilities which preform ningen dokku by prefecture. Not only that, but they also allow you to select from multiple courses offered by various medical groups. These range from a basic physical to a full-on, super-state-of-the-art, 300,000 yen cancer screening. Some facilities even offer special lunches and discounts for couples that register for examinations together. Also, when you sign up for a ningen dokku, make sure to take a careful look at the price list. 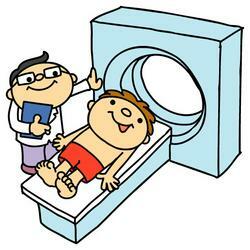 Many hospitals offer specific scans only on an "option list." Make sure the things that you want to be checked for (HIV screening, brain scan, lung check, etc.) are in the package or be prepared to pay extra. Do you have any ningen dokku experiences to share? If so, let us know in the comment section! Yes I did my Ningen doku,but now the problem is that i can not read even the titles or names of the examinations, like blod test, or fat test or urine test or colesterol...etc.....bad one or good one or in general....etc...please could you write something about....?